Water heaters inevitably wear out. 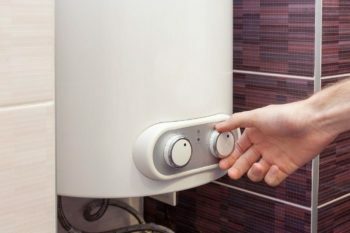 If you are at this point or you are looking to upgrade the energy-efficiency of your home, John’s Plumbing & Pumps, Inc has the water heater replacement you can trust. Our plumbers offer expert advice for picking out a new water heater. We also offer installation services you can count on for a perfect fit. We even take away your old water heater for you. 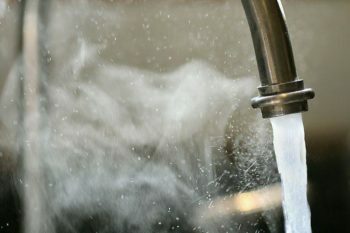 With experience going back to 1957, we bring you hand-selected plumbers and technicians with the expertise to handle any type of water heater replacement, including residential and commercial. John’s Plumbing will visit you at your home or business, measure the size of space you have, talk to you about your usage and needs, and help you narrow down the right water heater for you. We understand how intimidating the options can be. Our friendly technicians help familiarize you with the right brands, sizes, and types of water heaters that fit your needs and budget. We are happy to explain feature options as well. We only recommend those products that are well vetted for quality and come with the best warranties. Do you already have a new water heater picked out or purchased? That’s great! We offer installation services to ensure your water heater replacement goes smoothly, no leaking or other concerns. With well over 50 years of serving the Lacey community with reliable, affordable plumbing and pump services, we have come to be known for our commitment to excellence. We maintain an A+ rating with the BBB and you will find plenty of positive reviews about us online. We have earned our stellar reputation by being thorough in every detail of our work and only hiring knowledgeable, experienced plumbing professionals. We stay current with continuing education to ensure we bring you the most up-to-date information, services, and products and deliver upfront, transparent cost estimates you can rely on for honesty. We show up on time and complete our work quickly. We also never make suggestions for products or services you don’t need. Those are just some of the ways we provide excellent service to Lacey and the surrounding areas. John’s Plumbing guarantees their services and products so you can relax that your water heater replacement will be done to the precise manufacturer’s specifications. Contact us today for the water heater replacement that local residents have come to know and trust.